Looking to purchase new flooring? is dedicated to providing our members with a platform to foster a standard of excellence. Looking to purchase new flooring? Whether it is hardwood, ceramic tile, laminate or vinyl, there are some things you need to know! The Ask the Expert is a technical resource for flooring retailers, floor installers, textile & floor covering cleaners to get on-demand professional expertise to questions or problems they are having in the field. A not-for-profit organization which proudly served the needs of flooring industry professionals in Ontario since 1962. 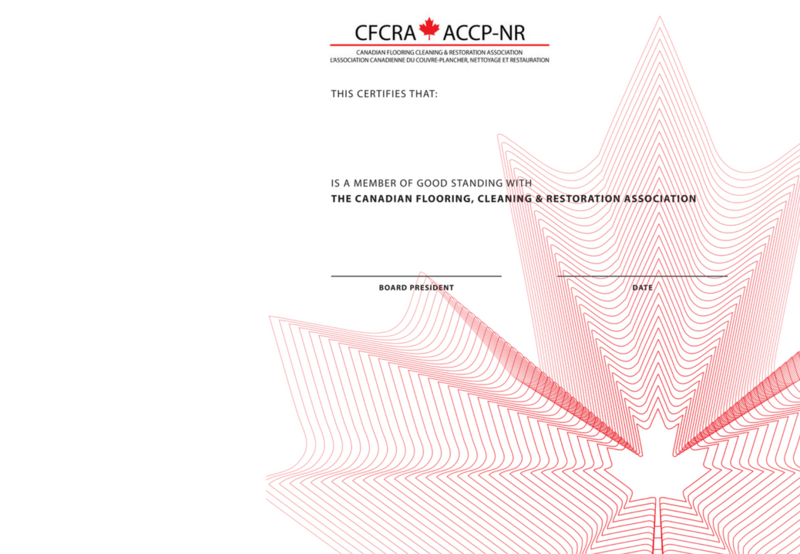 The Canadian Flooring Cleaning & Restoration Association is dedicated to providing our members with industry specific learning and professional development. We also provide a number of networking and social events, as well as information on industry events and conferences..
We provide a platform for education, professional development and mentoring. We offer exclusive training for the seasoned professional as well as new hirer. Also, fun networking events such as mill tours and open houses to showcase your business services. We offer referrals for members by company listings in our website and networking with other trades such as property managers and interior designers. We provide you with a membership logo and certificate that you may display in print or use on your website or company vehicles. This recognition will signify to your customers that you are part of Canadian national association. This can expand your reach and let customers know you are dedicated to serving with a high standard of excellence.